Senior Dining, an Albany County Congregate Meal Program, provides hot lunch at five neighborhood meal sites. In 2017, Colonie Senior Service Centers served 25,000 meals to seniors in our community at five locations, as well as at our Bright Horizons Adult Day Services Programs. For many seniors, enjoying a warm meal with friends is an excellent way to stay connected to the community. Staff and volunteers strive to create an atmosphere where everyone is welcome and treated with kindness. 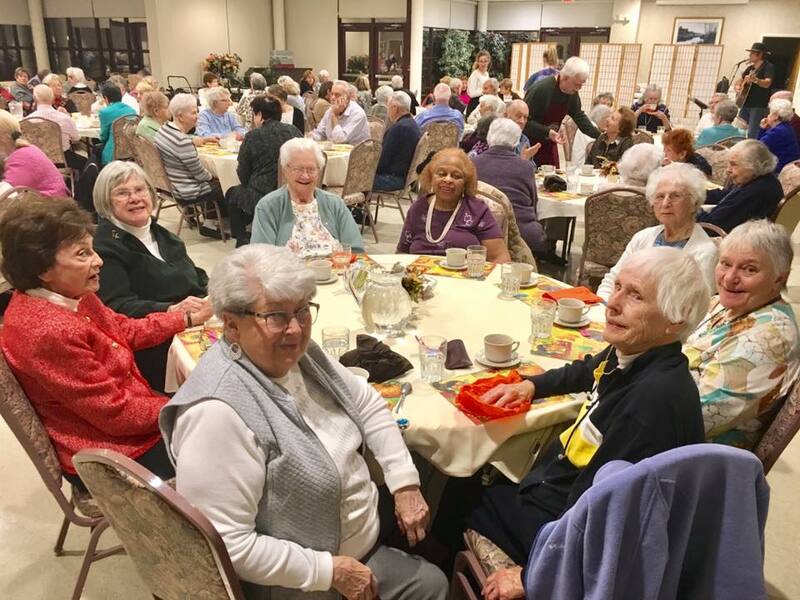 The Senior Dining Program brings people together at the neighborhood meal sites shown below where they enjoy healthful meals, social interaction, and entertainment and learning experiences of all kinds. Lunch meals served at Colonie Senior Service Centers change seasonally and always include fresh, healthy ingredients. An example of a meal served in the summer meal cycle is eggplant Parmesan, ziti with tomato sauce, Italian vegetables and a berry parfait. In addition to the lunches served on weekdays, CSSC hosts a Special Dinner on the third Monday of each month. The dinner is served at 5 p.m. at The Beltrone Living Center in Colonie. Live music is always included and a great time is had by all!